It is the end of an era for Manor College in Jenkintown. 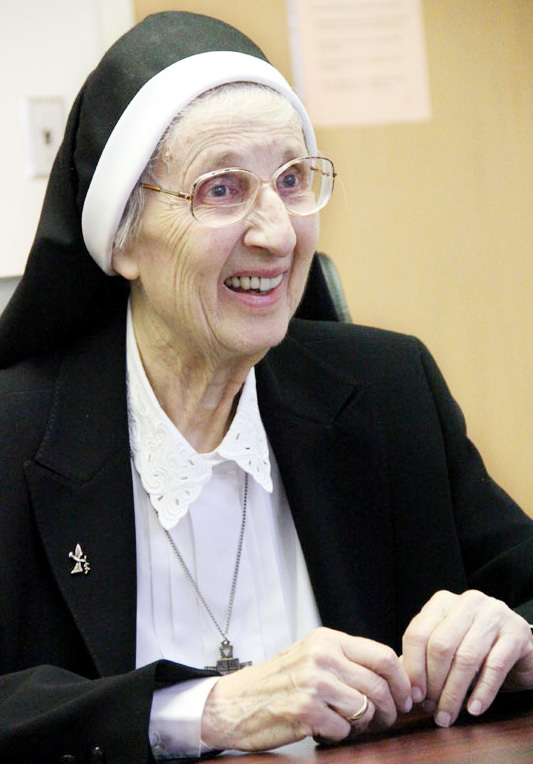 Sister Mary Cecilia Jurasinski, O.S.B.M., the school’s president for the past 30 years, has just retired, although her successor has not yet been named. Actually she’s been a campus presence for 50 years, counting the years when she herself was a student and also as a faculty member and teacher of history and education. She also served as dean of students and chair of the Education Department before rising to the top spot. As colleges go, Manor is small; current enrollment is about 780, and unique in several respects. It is the only two-year Catholic college in the five-county area but it is not Roman Catholic, it is Byzantine Ukrainian Catholic. It’s also the only college, other than a seminary, affiliated with the Byzantine Ukrainian Church in the United States. Manor College, founded in 1947, was a natural outgrowth of St. Basil Academy, with which it shares a 35-acre campus. 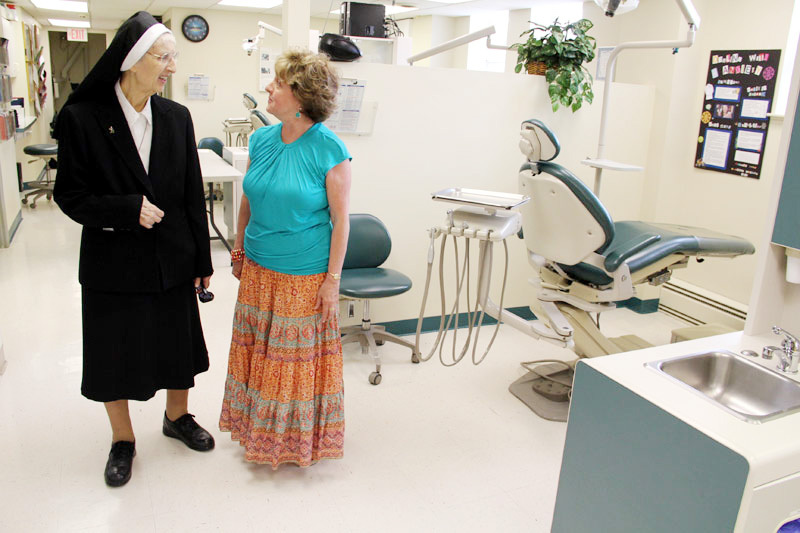 Sister Mary Cecilia’s story begins in Reading, Pa., where she was raised in a family of eight children and first came to Manor for her associate’s degree. It was very tiny then, and she recalls her graduating class was only four or six students. It was not her original intent to enter religious life, and her first experience at teaching was in a public school for two years which she thoroughly enjoyed. After the death of her father at age 57, she began to seriously consider the convent, and in so doing returned to her Ukrainian roots by entering the Sisters of St. Basil the Great in 1960. She taught at St. Basil Academy for a short time and continued her studies, obtaining her bachelor’s degree from Immaculata College and her master’s degree from Temple University with further studies at the University of Pennsylvania. In 1963 she joined the faculty of Manor and in 1985 was named president. At that time she recalls there were about 300 students and enrollment was diminishing. “With changing times you can’t stand still, you have to keep moving up, you have to upgrade stagnant programs,” Sister Mary Cecilia said. She especially points to two features that are unique in the Philadelphia area: the state-of-the-art dental labs that train students as dental hygienists or dental assistants, and a 50-acre farm that serves the veterinary science and veterinary technology programs. As a two-year college, Manor serves as an affordable option for those who might consider beginning their college years there before finishing at a more expensive four-year college. On the other hand its associate degrees can of themselves lead to careers for those who wish to do that. For students who wish to immediately continue their education, Manor has transfer agreements with a number of colleges. Other institutions utilize the college’s University Center to offer on-site programs, for example a bachelor of science business management degree offered by Immaculata University, and Widener University’s doctoral program in K-12 leadership. 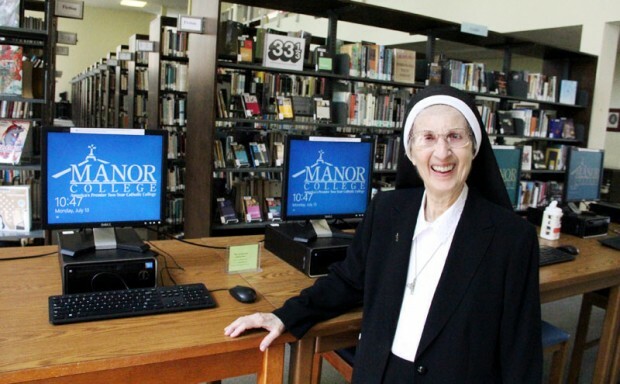 When Manor was founded, most students, like Sister Mary Cecilia, were of Ukrainian heritage. That is no longer the case; today most students are not. As she retires from the college presidency, Sister Mary Cecilia will take over as director of the on-campus Ukrainian Heritage Studies Center. The extensive library in the Ukrainian language and many carefully preserved artifacts, especially folk art, are a concrete reminder of the past upon which the future is built.